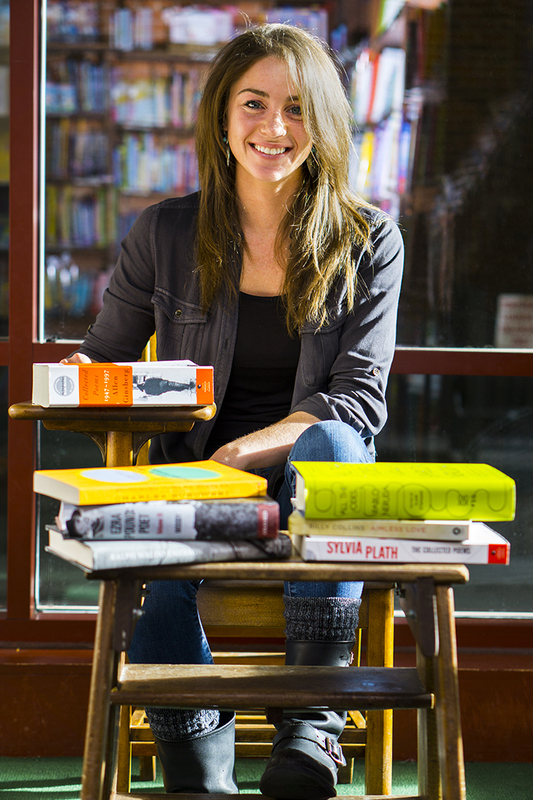 Calm, composed and brilliant, Kristin Macintyre is the perfect example of an aspiring writer. She appreciates the power of the written word, and understands well how it can help a person learn who they really are. Looking back, Macintyre believes she must have been meant for writing from the start. For as long as she can remember, she has had a love for the written word that endured and even helped her through harder parts of her life. That passion began to gain a structure and focus later on in her life, as well as give her a way to learn more about herself. One moment in particular introduced her to writing in the genre she would favor most, poetry. Moving forward, Macintyre ran into hardships and obstacles that kept her from writing as much as she would have liked. Nonetheless, she still found other avenues that helped her grow as a writer. Specifically, she was drawn to the more personal genre of journal keeping. Upon reaching college however, the world of writing was opened up to her. Her classes and the professors who taught them revealed world of writing and helped her to see just how far its boundaries could stretch. Macintyre notes that an academic environment and instructors helped her to maintain her passion and keep writing. At some of the toughest points in her life, it was their pushing her to be the best writer she could be, as well as their own inspirational love for their craft, that kept her in the world of writing. Of the many genres she has learned about, poetry has stood out as her favorite, “Poetry was always my niche, that I responded to, that I wrote,” says Macintyre. This love was boosted by an admiration for the works of poets, past and present. She also notes how both poets’ works resonate with what she loves about poetry: themes of longing and fleeting moments that stoke the flames of imagination. Poets like Smith and Regan, make her endless list of beloved poets by doing just that. When she isn’t writing poetry, Macintyre also writes pieces in the creative nonfiction genre. At the core of this affair with literature, Macintyre believes that what truly drives her to write is the effect writing has on her and what it allows her to do. In the future, Macintyre hopes to pursue a career that can harness her love of writing. For some parting encouragement to other budding writers, Macintyre has two pieces of advice. The first is to follow your gut instinct. “I think writers have a gut instinct on how to explain the world, or try to explain the world, in their eyes, and I think sticking with who you are, sticking with your unique perspective is the way to go,” she says. The second piece of advice is to keep your spirits up if your writing isn’t received the way you want it to be. Macintyre knows how frustrating it can be when one’s writing isn’t received the way they’d like it to be, but reminds writers how unique and uplifting it is when that written expression is understood.